Last week has been a bit of a rough one for both myself and Mr Bear. Somebody at work delightfully decided to share their cold with me, which I started coming down with at my friend’s 50th. Sadly, I didn’t realise quite how bad it was going to be. The illness that is, not the party. I ended up with a terribly sore throat that progressed into sneezing, mucus, and just generally being unwell coupled with some heavy duty cramps on my only midweek day off. In regards to that, I confess that not a lot has been achieved on my part. Mostly, I was just cuddling a hot water bottle and feeling sorry for myself. What productivity I did achieve was to design some new bits and pieces for my Zazzle shop. The shop holds a lot of designs in regards to official merchandise of my books, but now I’ve also created a subsection called Bookish Bits, where you can get pieces with book related designs on them. 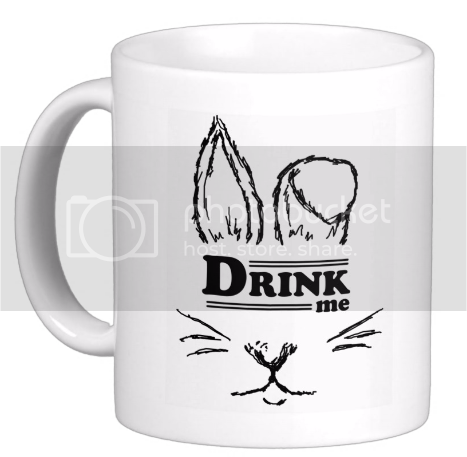 My favourite by far is the Drink Me rabbit inspired by Alice In Wonderland. Of course, there are other designs over there and you should check them out. I promise that I try to keep the prices on them as low as possible, but there is a limit as to how low Zazzle will allow me to go. Plotting on Delivering Hope is now in the far more advanced stages. I have also started excitedly on the beginning now that I’ve finally settled exactly how it should begin after a false start. Great news indeed, but I am still waiting on formatting and cover creation of the previous book. Obviously, I will let you know ASAP when Forgiving Zander will be released. However, the second in the Indigo skies series is now available in paperback too! 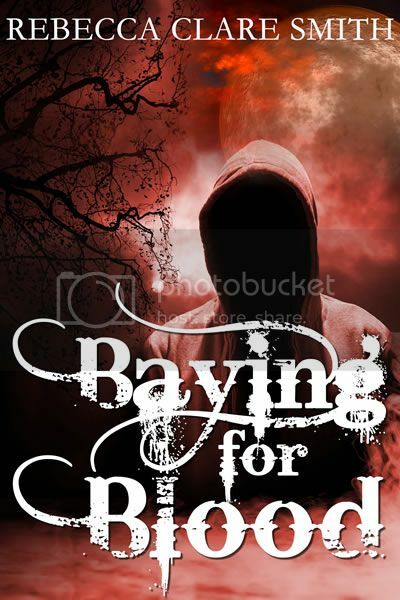 That’s right, you can now get Baying For Blood from Createspace and Amazon. Great news, if I do say so myself. And, in case you were wondering why I wasn’t doing any writing work on my day off yesterday, it was Father’s Day so we drove through to see my dad. We even went out for lunch, which was nice. The only sad bit about it was that my dad was a little worse for wear. Obviously, at the minute, he’s not feeling too good as he’s still waiting for open heart surgery to replace a heart valve that is giving up on him. He’s had all of his pre-op bits and pieces done so we’re hoping that he’ll receive some indication, soon, of when he’ll be admitted for the actual surgery. I sometimes forget that my dad is in his sixties. He doesn’t really look it and it is hard to imagine that anything could ever be medically wrong with him. All through growing up, he’s always been pretty healthy and rarely even caught a cold – a fact which he will tell you quite proudly and on repeat. So it’s a bit strange for me to think that he’ll be going into hospital for surgery on a dicky ticker. I’m sure it will all go well and he’ll be perfectly fine at the end of it, but, still, I’m a little anxious. I’ll keep you guys updated, though.